I am a busy mom of now 2 kids, when I was asked what for Christmas when I was 9 months pregnant, this is all I wanted. My mom got it for me, I was thrilled! Helped me look pulled together at delivery. I got so many compliments and my bff loved it so much I got her one for her birthday. We are both busy working moms and can't be happier with them. Amazing product! Bought this as a Christmas gift for my niece and she loves it. I bought a lot of hair ties to go with it. Co-workers were wondering how her bracelet always coordinated with her outfit. Bought this as a gift for my daughter. As a professional women it was not always the best accessory to have a hair tie on her wrist. This bracelet makes it a fashionable and beautiful accessory. She has had many, many compliments and requests on where it came from. She is, of course, telling everyone where they can get one. I had ordered the silver one first, then bought another in the gold. She loves both. Well worth the cost as the bracelet is made well and holds up to daily wear. Very satisfied and will be purchasing more in the future as gifts. I am so mad at myself for not coming with a brilliant product. I bought one for every female on my Christmas list and they absolutely love it. My wife loves it! Such a great product. One of my daughter's favorite Christmas gifts! Everyone who sees it asks "Where did you get that?!" 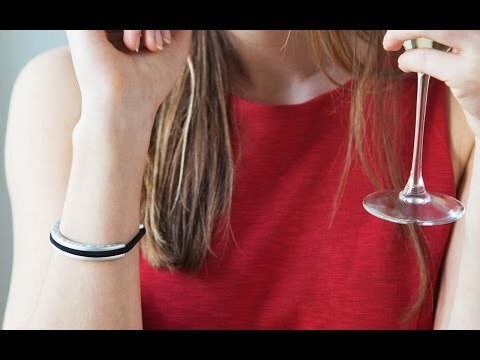 Bought this for my 14 year old niece who loves putting her hair up and this bracelet made a great gift while be stylish.